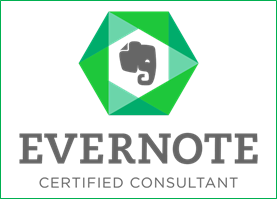 Late last year Tim completed the certification process to be called an Evernote Certified Consultant. Now we can help you build out productivity solutions in Evernote for yourself or your team or your entire business. 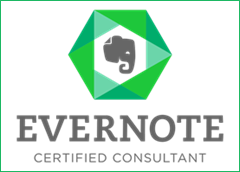 Evernote is an awesome note taking app that syncs across devices and platforms, iOS, Android, Windows and Mac as well as in the browser. Here are some of the productivity tips and information from recent Evernote Blogs and articles.